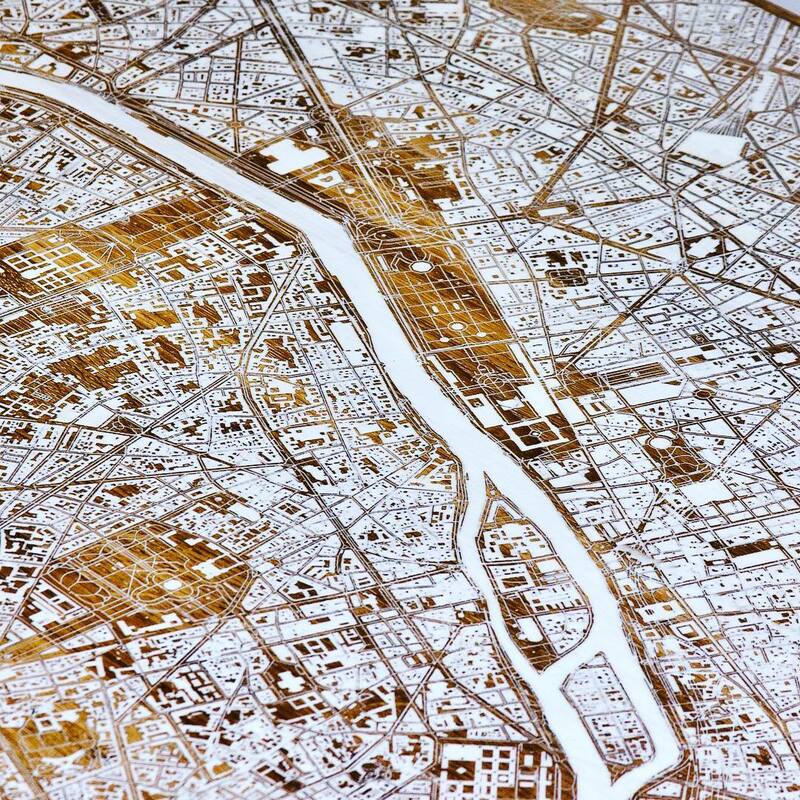 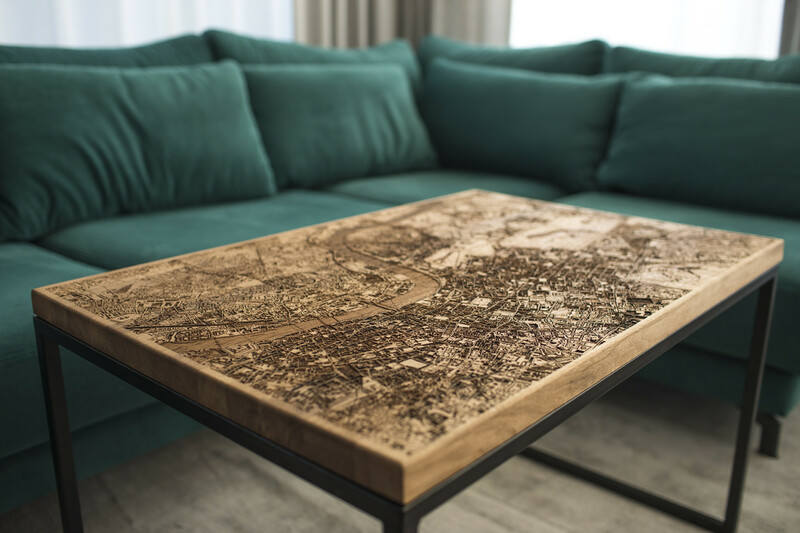 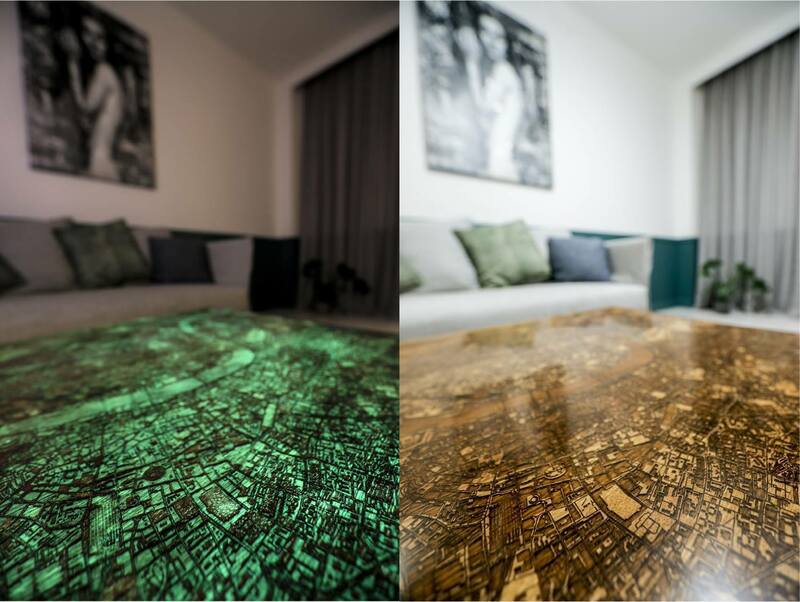 Woo Design, a company from Warsow, creates magnificent wooden tables representing cities aroung the world. 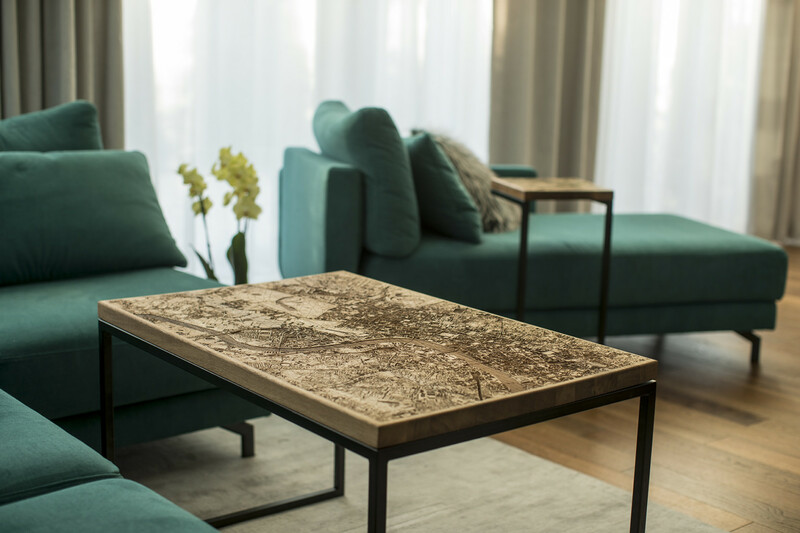 New York, Paris, Londres, Munich, engraved on a raw wood platform or covered by a refined resine, are incrediby precise and detailed. 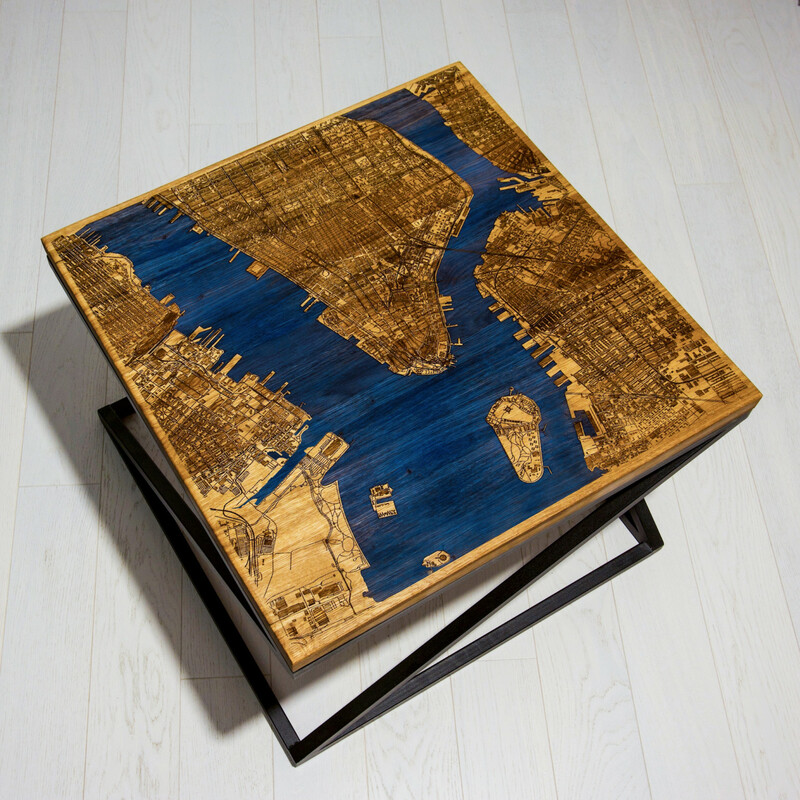 An incredible artisanal object.